Wolfenstein: The Old Blood is a great reminder of just how good narrative-driven first person shooters can be. 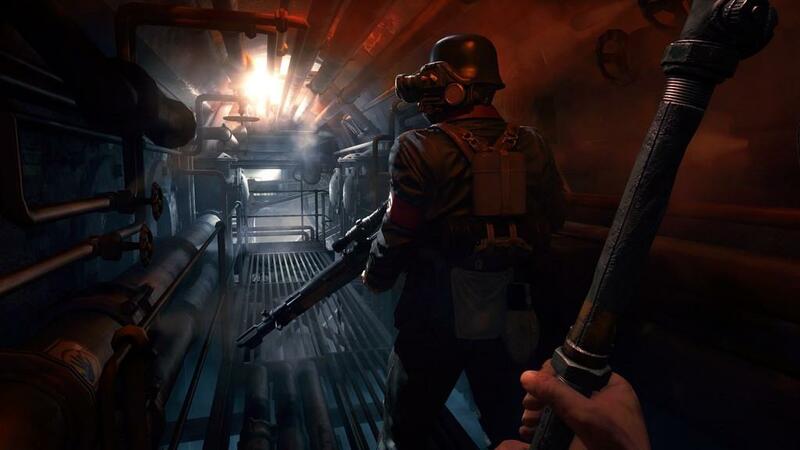 The standalone prequel to last year’s Wolfenstein: The New Order, mixes story, gameplay, and aesthetic beautifully, and is my favorite game of 2015 thus far. Set in 1946, The Old Blood puts you behind the eyes once again of B.J. Blazkowicz. If you’ve played a Wolfenstein game before, you’ve probably heard that he’s not in the prisoner-takin’ business, he’s in the killin’ Nazi business. And in The Old Blood, like every game in the series before it, business is a-boomin’. 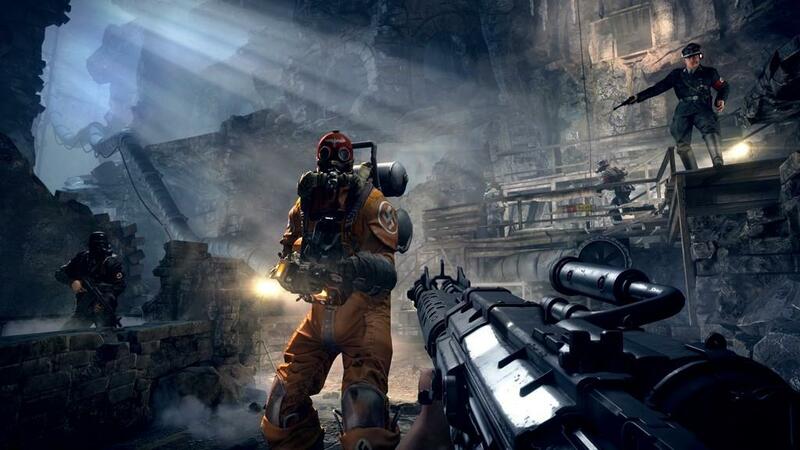 Your single goal is to infiltrate Castle Wolfenstein to steal a folder with coordinates to Deathshead’s compound. And while this main objective may sound like a glorified fetch quest, you’ll quickly discover a lot more going on with the Third Reich. 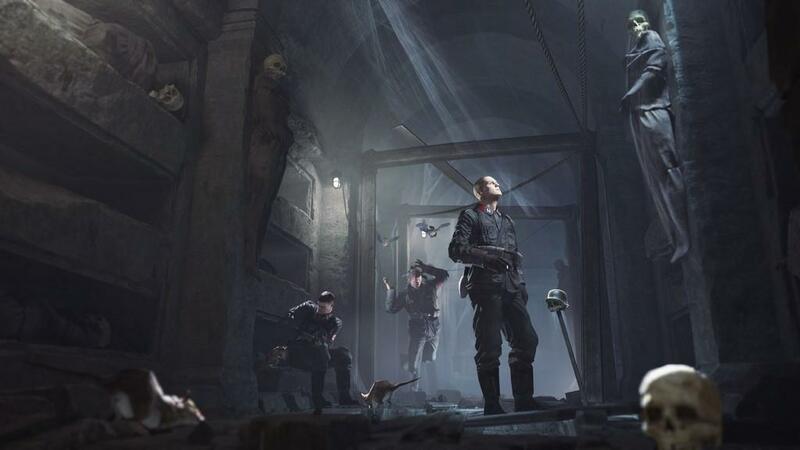 You see, while The New Order concerned itself with the alternate history question of if the Nazi’s won World War II, The Old Blood flirts with the Nazi’s mysterious occult history and whether or not their ideas of black magic would have ever come to fruition. Fortunately, if you haven't played The New Order you can still play The Old Blood without missing much save for a few references. In fact, I would recommend playing the latter first to get a completely cohesive and linear storyline. The eight-chapter plot takes a couple turns I didn’t expect and comes with a pretty awesome twist. My only real complaint is that the story is missing a lot of the character development that made The New Order so special. This could be due to the fact that there are little to no cutscenes at all to push character relationships. Most of that is done through inner monologues and dialogue between fire fights. It works a lot of the time, but most of the people you’ll meet won’t be as memorable as General Deathshead or Caroline Becker from The New Order. There's more story too, if you want to look for it. Scattered throughout the environment are things like one person's prescription for depression medication or a letter from a mother apologizing for an abusive father. These notes, letters, and newspaper clippings help to give more context to the world and people around you. I also loved the small conversations I would stumble upon between Nazi soldiers, some who would talk about going out for beer after their shift or stories about their families. It's a small addition, but gives some character to the endless enemies that you'll fight. In The Old Blood the gunplay is still sound, and the frame rate rarely dips below 60fps. Where gameplay shines brightest is when it drops you into a level and lets you choose how to execute your objective. You could equip your silenced pistol and creep around the map, stealthily taking out commanders and soldiers with a few well placed shots, silent takedowns, and throwing knives. Or, you could whip out akimbo Schockhammers (shotguns) and mow every Nazi down. Often times I would clear an area of enemies and search for collectibles, just to find numerous hidden routes that could have helped me accomplish my goal with more finesse. And if the four and a half hour campaign doesn’t scratch your Nazi-killin’ itch, you could also take on 10 challenge maps where you can rack up scores and compete on leaderboards. At first I ignored them, but after playing a few, the high score mentality has me unexpectedly hooked. The artistic prowess of The Old Blood also caught my eye. Almost immediately, in the prologue, I was impressed by how handsomely the half-timbered medieval architecture was juxtaposed with the starkness of Castle Wolfenstein’s steel and stone. 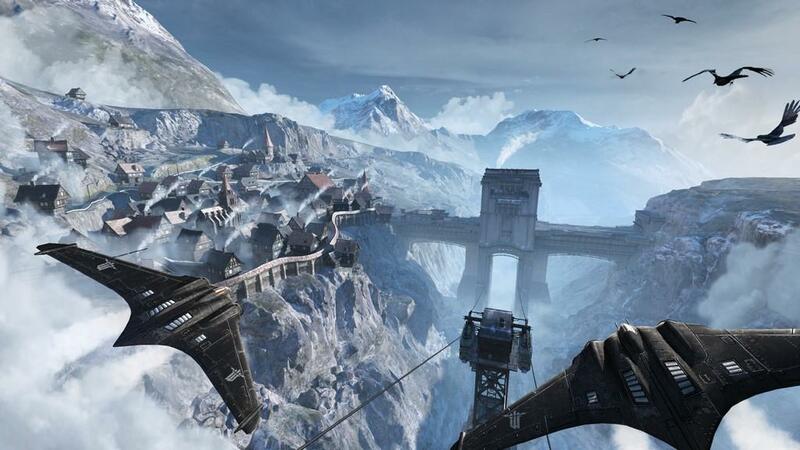 And the vistas, both up close and from a distance appear to be painted with a Dishonored-esque brush. It's clear that Machine Games went to great lengths to capture both German history and a sterile, but intimidating fascist state. Of course, it wouldn’t be a proper expansion to The New Order if you didn’t have a plethora of Nazi killing machines and unlockable perks at your disposal. Some of the weapons are carried over from The New Order — like the pistol and assault rifle — but there’s also a new grenade pistol, bolt-action rifle, and shotgun that you can toy around with. A new perk tree also makes an appearance, where you can earn skills like the ability to carry around a heavy machine gun in your weapon wheel or the capability to reload quicker. Unfortunately, some of the small issues that riddled The New Order follow suit in The Old Blood. The weapon wheel is still as sensitive and annoying as ever. It wouldn’t be an issue if gameplay paused while you selected your Nazi-execution-device-of-choice, but it doesn’t, often causing me to pull out my pistol in a giant firefight instead of my assault rifle, basically the difference between life and death. Sadly, the A.I. doesn’t appear to be all that improved either, often walking right by their fallen comrades’ bodies without uttering a sound, while I stealthily moved about the area to take everyone out. It makes everything a bit easier sure, but the impracticality did cause me to roll my eyes. Simply put, if you liked The New Order, you’ll like The Old Blood. The more than competent shooting, likable protagonist, writing, and gameplay choices make up for some small issues and a few static characters.